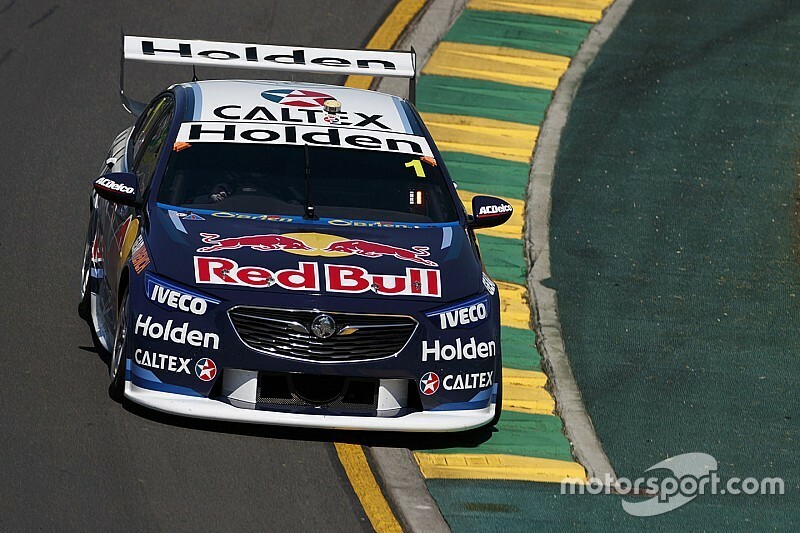 Holden has put the development of the twin-turbo V6 engine that it planned to introduce into its Supercars programme later this year on hold indefinitely. 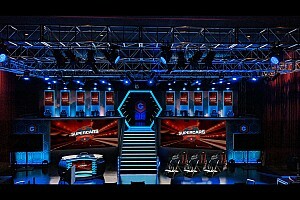 The V6 engine has been undergoing a development programme split between factory Holden squad Triple Eight Race Engineering, its engine supplier KRE, and GM in the US. The original plan was for it to debut with the brand new ZB bodyshape at the start of this year, before Holden opted roll out the ZB with V8 power, test the V6 engine with selected Wildcard entries later in the season, and then look for a wider introduction of the V6 engine in 2019. However the V6 has now been shelved altogether, Holden and Triple Eight confirming that the popular V8 engine will continue into the foreseeable future. "We at Triple Eight are extremely proud of and grateful for the hard work and effort put in by all those involved in the development of the V6TT engine thus far," said T8 boss Roland Dane. 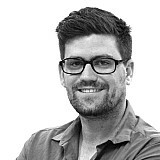 "We’re very confident that the package would have been fully competitive and know that we have an extremely valuable bank of knowledge to refer to as and when a different engine platform is explored again in the future. The V6 engine was a long way down its development path, having already been run a number of times in T8's 'Sandman' ride car, including a public demonstration at the Bathurst 1000 last year. 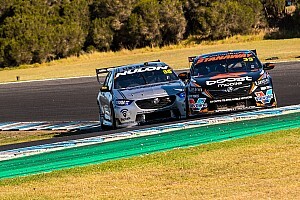 According to Holden's Executive Director – Marketing Mark Harland, the decision not to continue with the V6 plan has no bearing on the company's commitment to its Supercars programme. "At Holden we are always assessing the motorsport landscape," he said. "After working closely with all Holden teams we have decided to put a hold on the development of the V6 Supercars engine. "We are 100 per cent committed to motorsport and our sponsorship of the Red Bull Holden Racing Team and supporting all Holden teams in both the Supercars and SuperUte paddock. This is thanks to the monumental effort Holden and Triple Eight have put into engineering and developing the Holden Supercar and we remain committed to that advancement of motorsport engineering in what is one of the most technically advanced motorsport categories in the world. Supercars CEO Sean Seamer added that the decision wasn't the end of the road for turbo engines in Supercars. “Our current rules allow manufacturers and teams to implement various configurations of power plants," he said. "So, while the ZB won’t have a turbo engine configuration at the moment, it’s important that we, as a category, continue to build our learnings and expertise on forced induction. "We look forward to continuing our great relationship with both Holden and the teams, irrespective of what engine they choose to run." The decision comes just weeks after Walkinshaw Andretti United co-owner and McLaren F1 boss Zak Brown labelled the V6 move 'a mistake'. 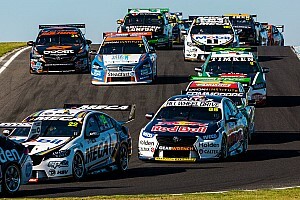 The V8-powered ZB Commodore, which debuted in Adelaide, has won five of the six Supercars races so far this season.